During the consultations for the Towards Race Equity in Education report, educators, parents, and students recommended that resources be developed to help Black parents engage with their students’ education. They felt that an engaged parent was critical to the success of Black students in Ontario’s education system. 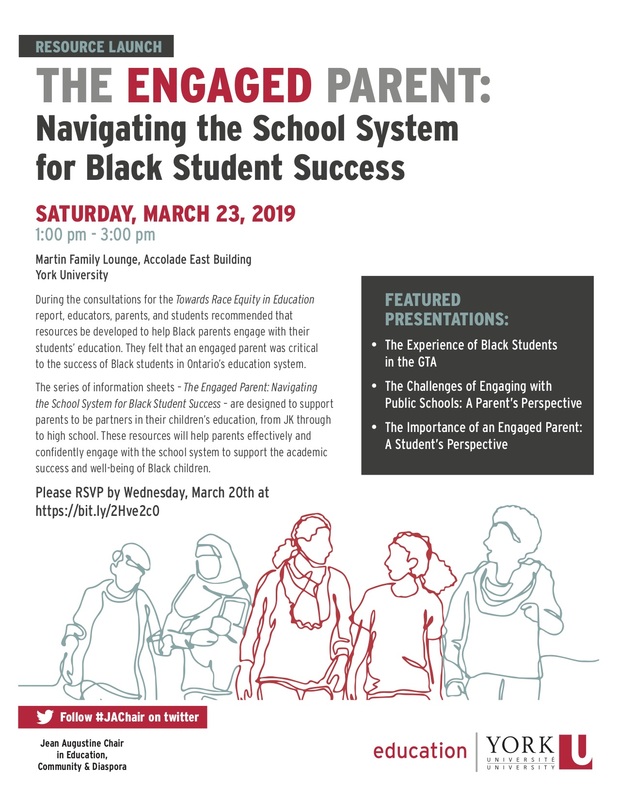 The series of information sheets – The Engaged Parent: Navigating the School System for Black Student Success – are designed to support parents to be partners in their children’s education, from JK through to high school. These resources will help parents effectively and confidently engage with the school system to support the academic success and well-being of Black children.